The little known but dynamic history of Lighter-Than-Air in the US Army is one of research and development, of triumph and tragedy. From the origins of the Army Airship Service in the Balloon Corps, through the roaring 20’s, soldier-airmen operated a diverse fleet of pressure airships, testing experimental designs. 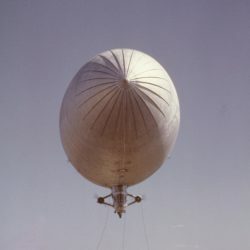 Evolving from motorized observation balloons, the Army explored the boundaries of aeronautics—and the limits of what politicians would allow. First Americans to lower a “spy basket” in flight, and first anywhere to hook on an airplane in flight, Army pioneers were even first to cross the United States in a buoyant craft. Developers of the semi-rigid airship in America, the Army operated the ill-fated ROMA and the unique RS-1, hoping to refuel and service fighting airplanes in flight. 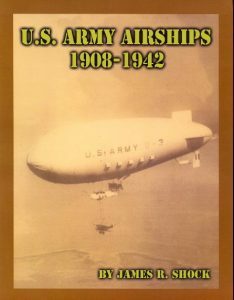 Includes a complete illustrated listing of US Army Airship Pilots and other key personnel. This most definitive history of an all but forgotten chapter in aeronautic history has grown from a forty year study by James R. Shock, America’s senior airship historian.